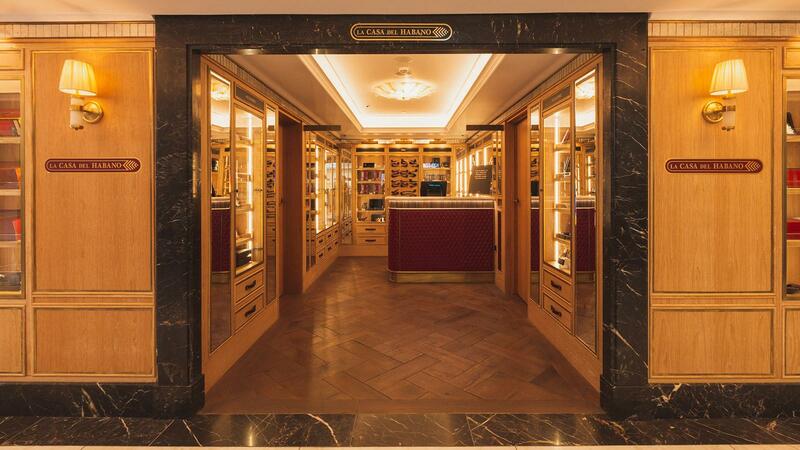 The newly renovated JJ Fox, a La Casa Del Habano location inside London's Harrods department store. Cigar lovers not only have another smoking outpost in London, but they also can puff and do some great shopping all in the same store. 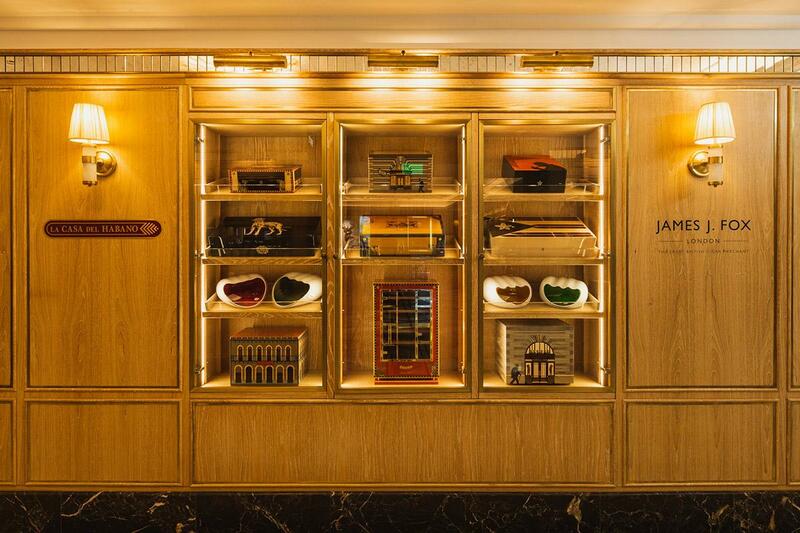 Harrods, the largest department store in Europe, now has a smoking room within the redesigned and expanded JJ Fox tobacconist inside the venerable shopping emporium. The JJ Fox cigar shop is also now an official La Casa del Habano, making it the second in London and the third in the United Kingdom. Rob Fox, the CEO of James J. 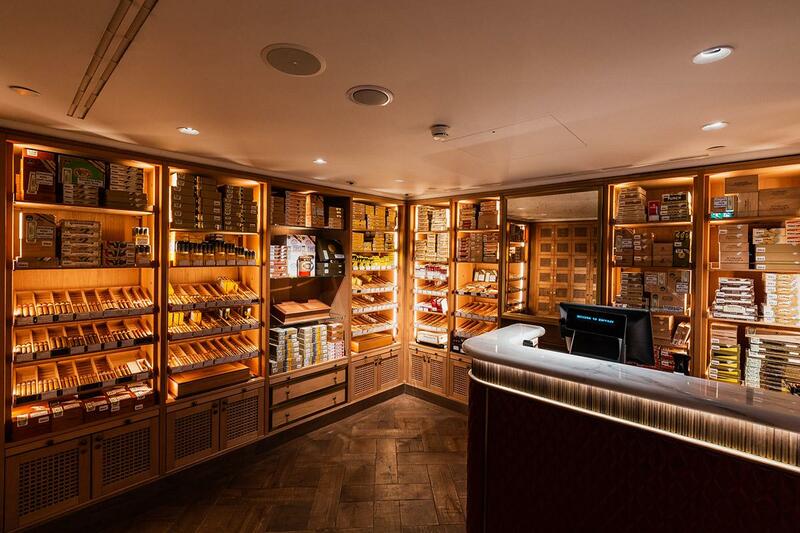 Fox Cigar Merchants, says the refurbished concession, which opened in late March, resulted after Harrods decided to update and expand its wine and spirits room. As part of the renovation, it agreed to put in a “sampling lounge,” otherwise called a smoking room, as part JJ Fox’s space. It’s the first of its kind for Harrods. “This was a joint investment of Harrods and JJ Fox,” says Fox. But he added the new store, plus the smoking room, was just a natural extension of Harrods “commitment to maintain highest standards of customer service and experience.” He says the new layout has been a big hit with his regular customers. “No one thought it possible that we could install a sampling room. There were so many difficulties that had to be overcome. So, when our customers saw it for the first time they couldn’t quite believe it,” Fox says. 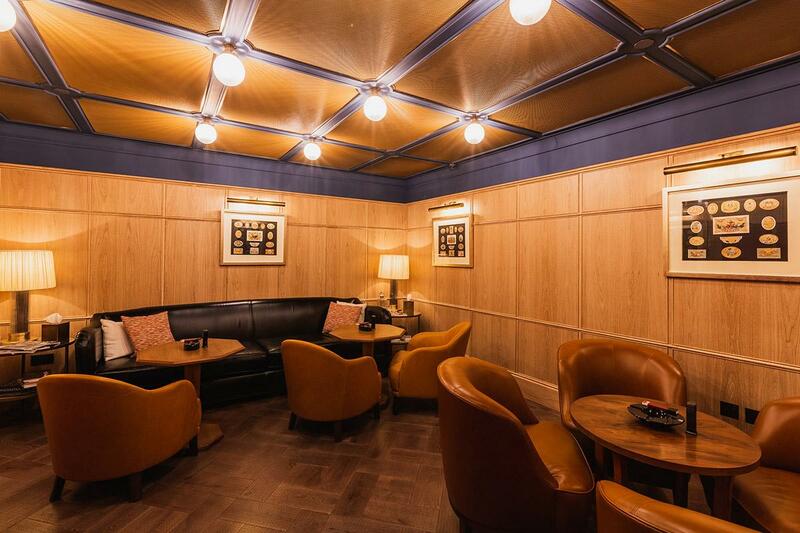 A “sampling lounge,” otherwise called a smoking room, was added in the renovation. Fox has had a store inside Harrods since 1982, making it the oldest continuously operating concession inside Harrods. The new JJ Fox cigar shop occupies 500 square feet. It has a 200-square-foot, walk-in humidor, a 200-square-foot sampling lounge and a 100-square-foot retail area for displaying luxury cigar accessories. The walk-in humidor also has 86 private stock lockers, which are reserved for JJ Fox club members. The sampling room can seat up to 12 people and is open to all customers of the shop. While Fox declined to reveal how much money it cost to update the shop, he noted only the best-quality workmanship went into the refurbishment. “The humidors were handmade by DeArt of Italy and the air-conditioning in the sampling room by Airkel of Switzerland,” Fox says. The 200-square-foot, walk-in humidor holds a large inventory of Cuban cigars. One note for cigar smokers who are familiar with the JJ Fox philosophy: they don’t sell cigarettes. The company decided years ago to stop selling cigarettes, and they continue that policy at Harrods. And now, as a Casa del Habano, the Harrods shop only carries Cuban cigars. A selection of humidors on display outside JJ Fox. For more on cigar-friendly outposts in London, read Lighting Up In London.